Westmed Medical Group is excited to announce the opening of Westmed YourCare Now–offering walk-in primary and immediate care services–at 1281 E. Main Street, 1st floor, in Stamford CT (Suite 101) (1-203-210-2825). What is included in the walk-in primary care services in Stamford? “We offer walk-in patients a range of primary care services, including annual back-to-school physicals, pre-employment examinations, immunizations, flu shots, and even pre-operative clearance assessments.” These services are delivered by board-certified family medicine physicians and advanced practice providers, with the added benefit of radiology and laboratory services on-site. In addition, parking is free. 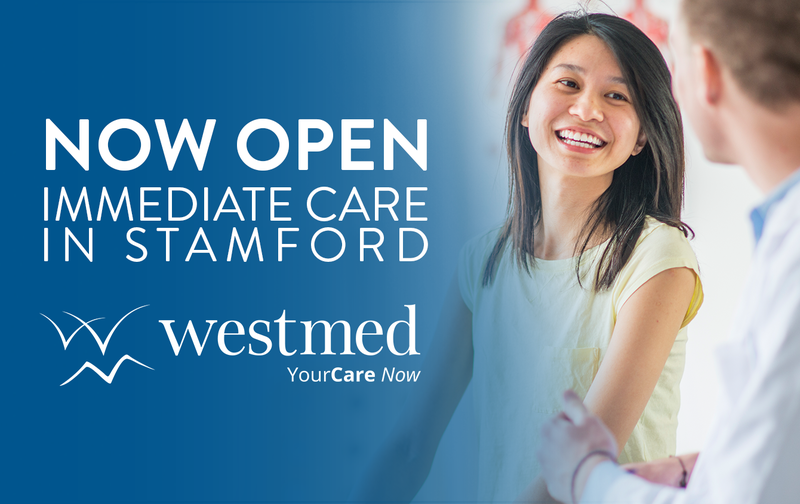 In addition to the walk-in YourCare Now suite, Westmed’s Stamford office location also offers exceptional orthopedic care services and physical therapy on the 4th floor of 1281 East Main Street. There, patients can find board-certified specialists who provide surgical and non-surgical treatment for injuries and conditions of the knee, ankle, foot, hand, back and spine.